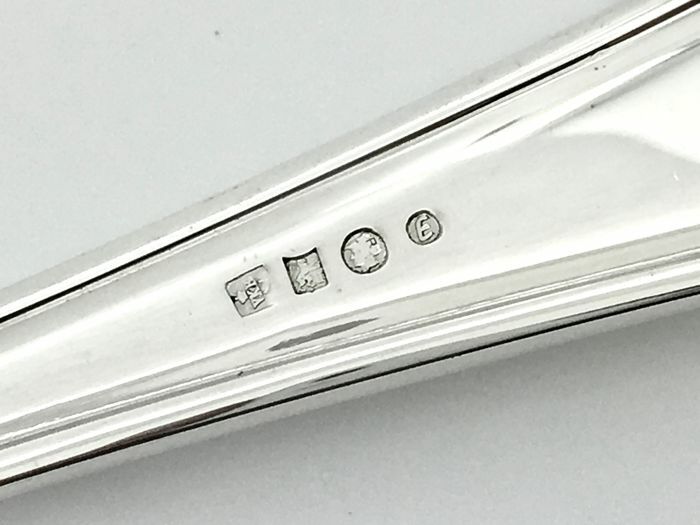 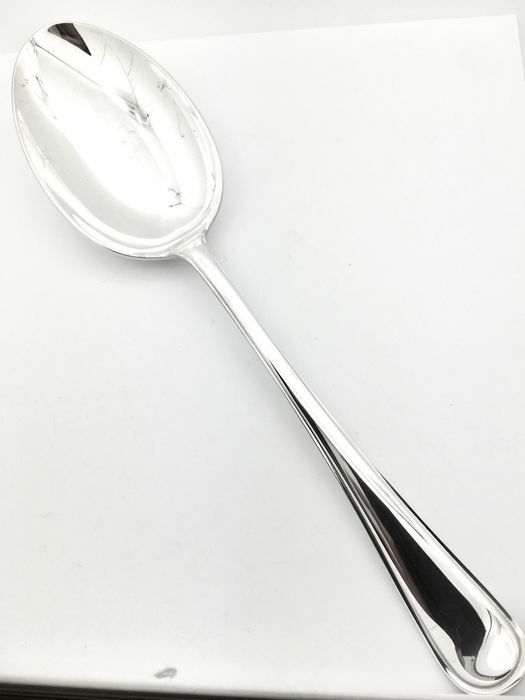 Silver vegetable spoon 252 mm long. 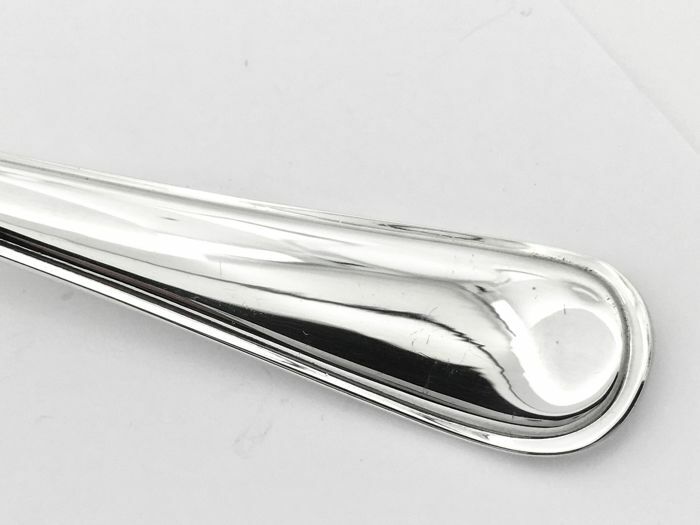 MATERIAL: Sterling Silver 925: Silver with a high purity and hardness. 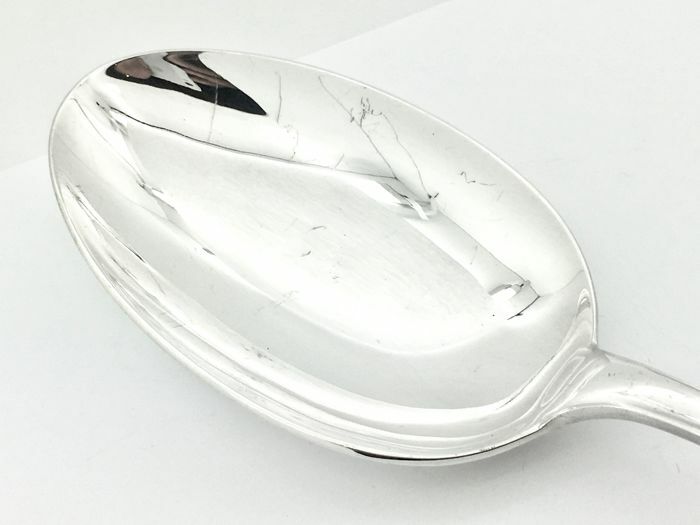 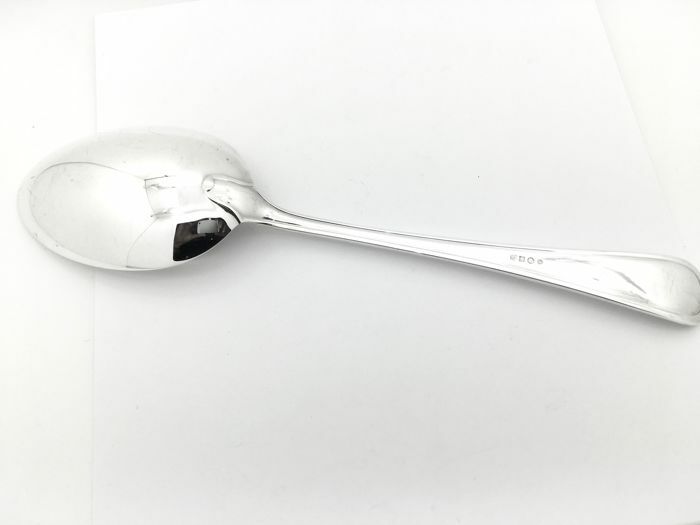 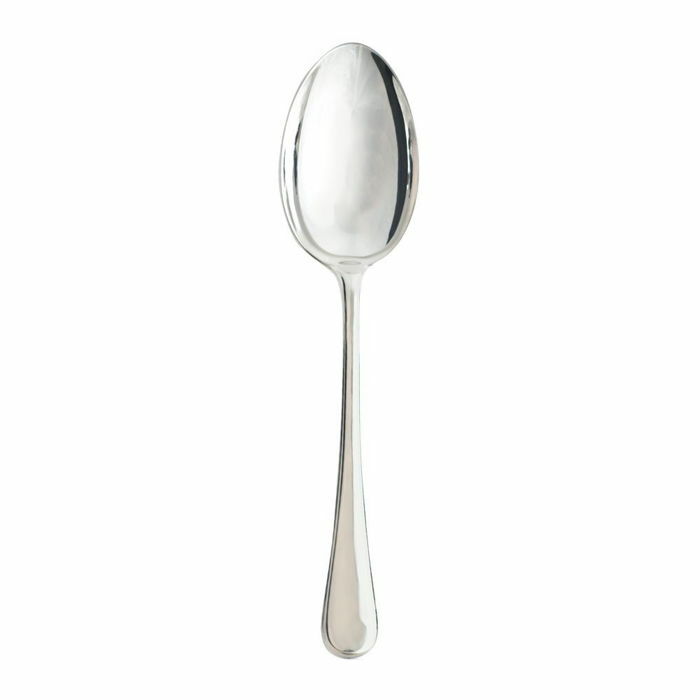 92.5% of the weight of the spoon is of pure silver.